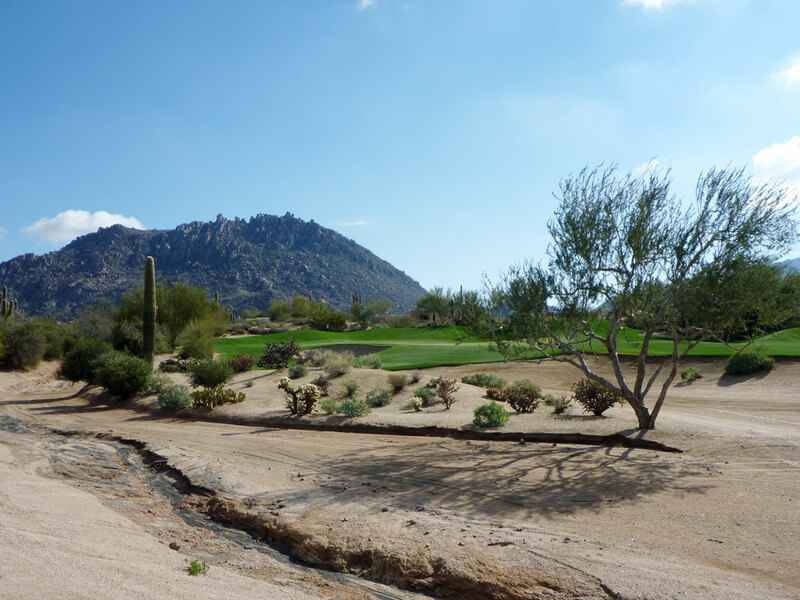 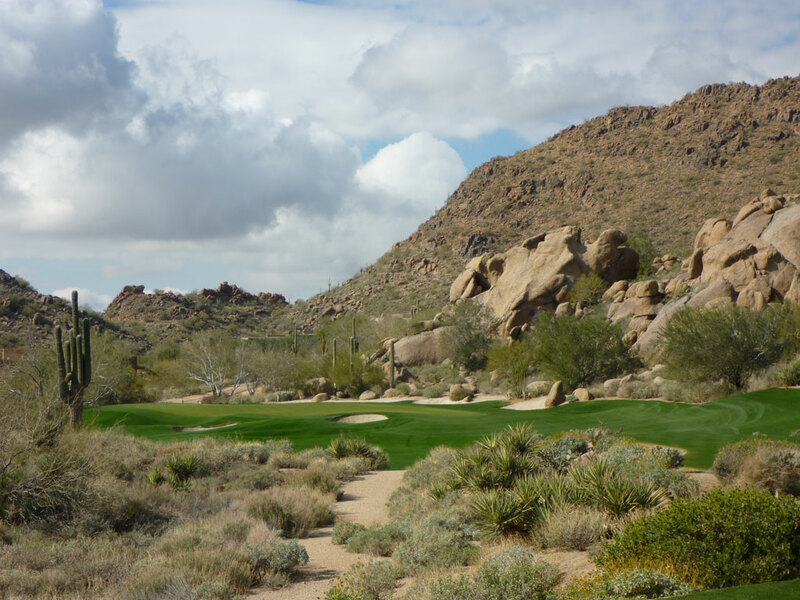 Course Website: Official Website - Visit Desert Highlands Golf Club's official website by clicking on the link provided. 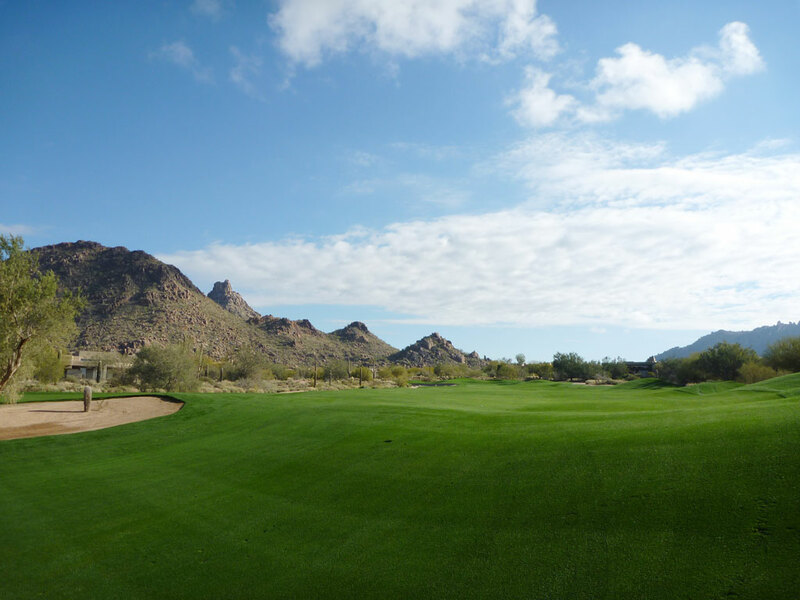 Accolades: Ranked in the Top 100 Courses in America by Golf Digest from 1987-1995. 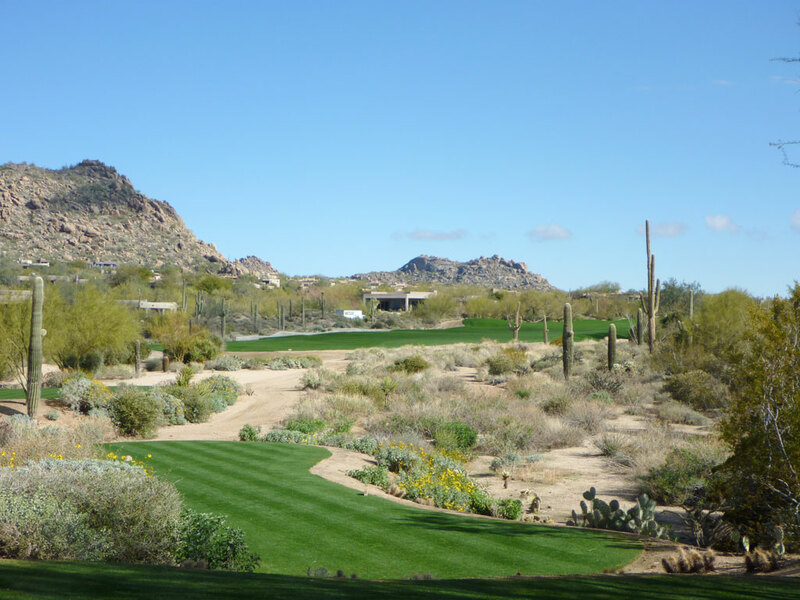 Ranked 10th in the state of Arizona by on Golf Digest's 2013-14 Best in State list. 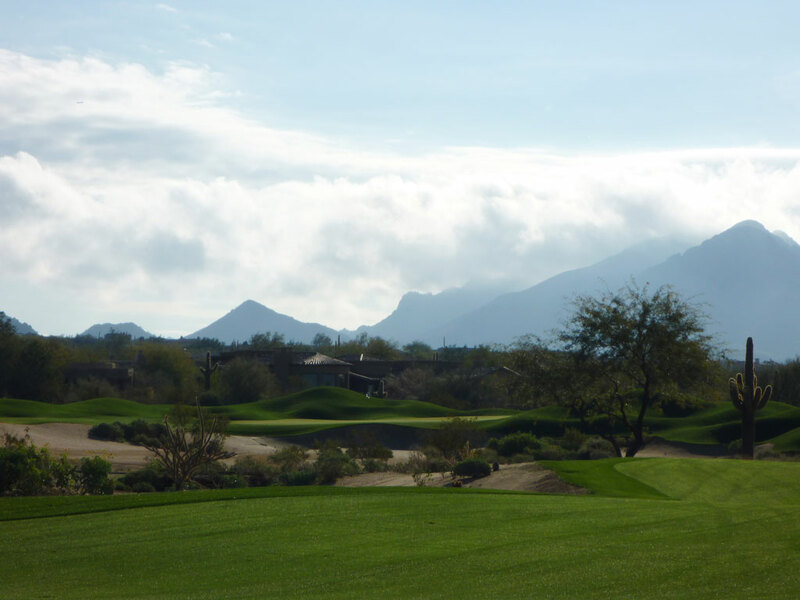 What to Expect: Desert Highlands was Nicklaus’ first effort in Arizona’s vast desert terrain and many consider it his best. 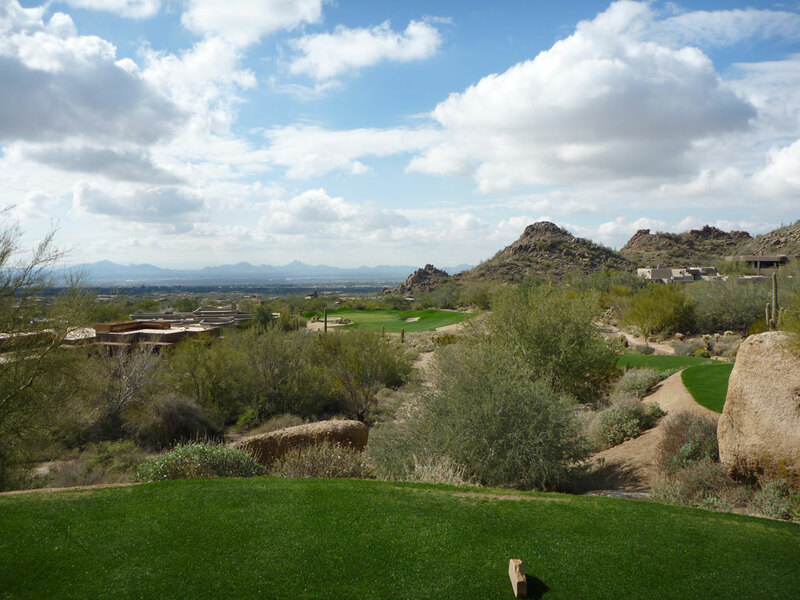 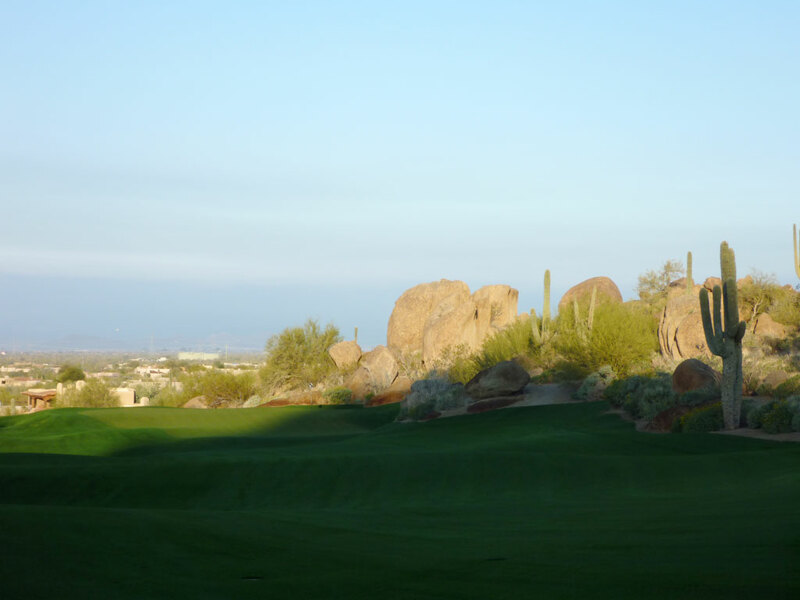 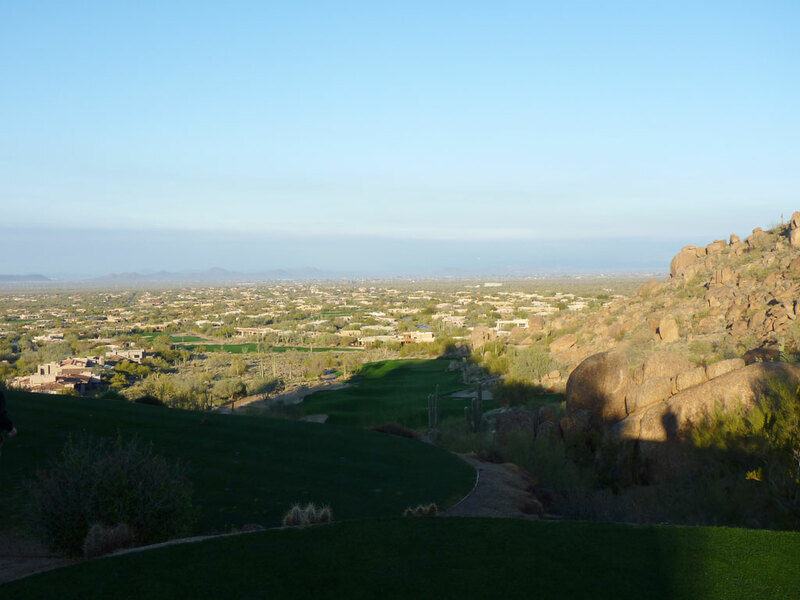 The opening tee shot of the day instantly gets the blood flowing as you stand on a severely elevated tee box overlooking Scottsdale/Phoenix with a ribbon of a fairway streaming below. 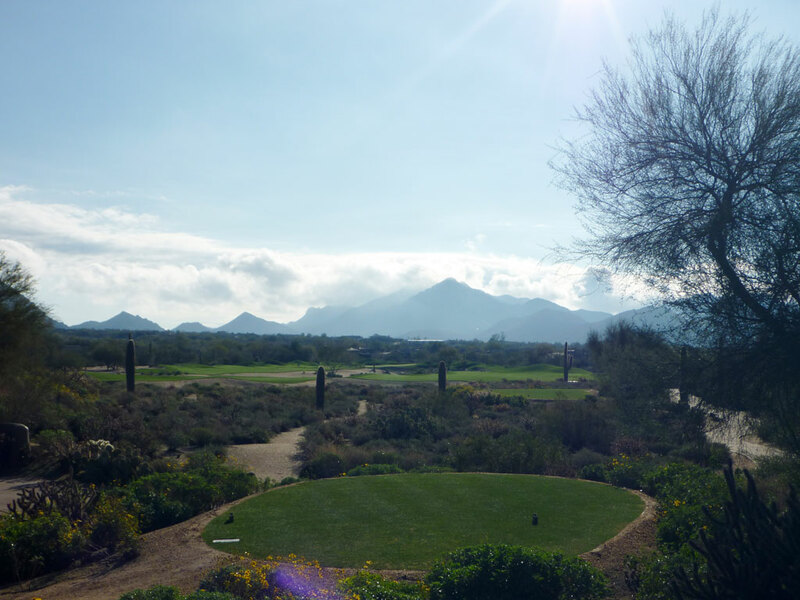 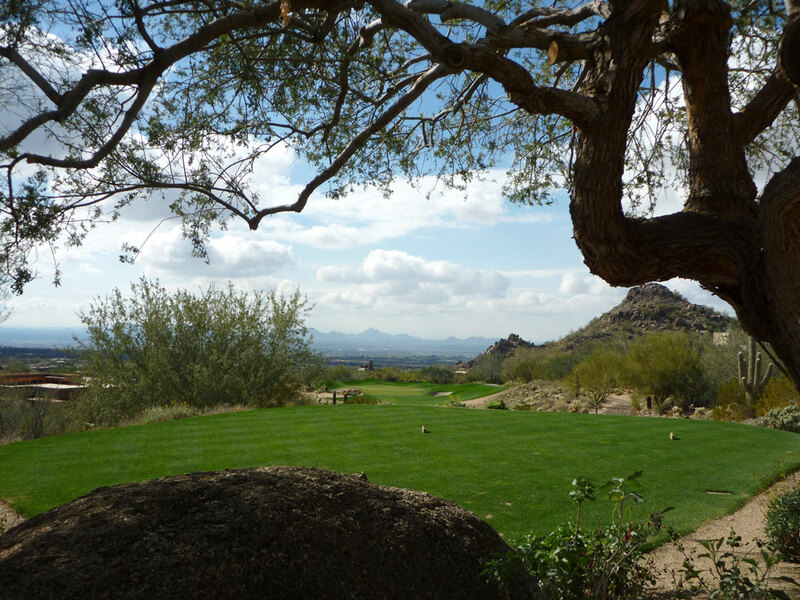 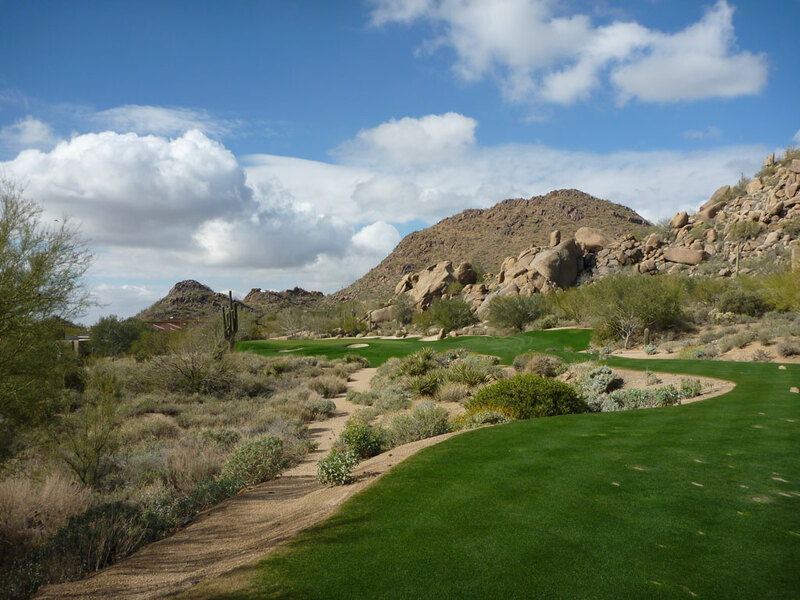 Desert Highlands features relatively forgiving fairways for a target course and features stunning views of Pinnacle Peak.